My favorite thing about pizza is how it’s a vehicle for almost any food. I use it for leftovers all the time. 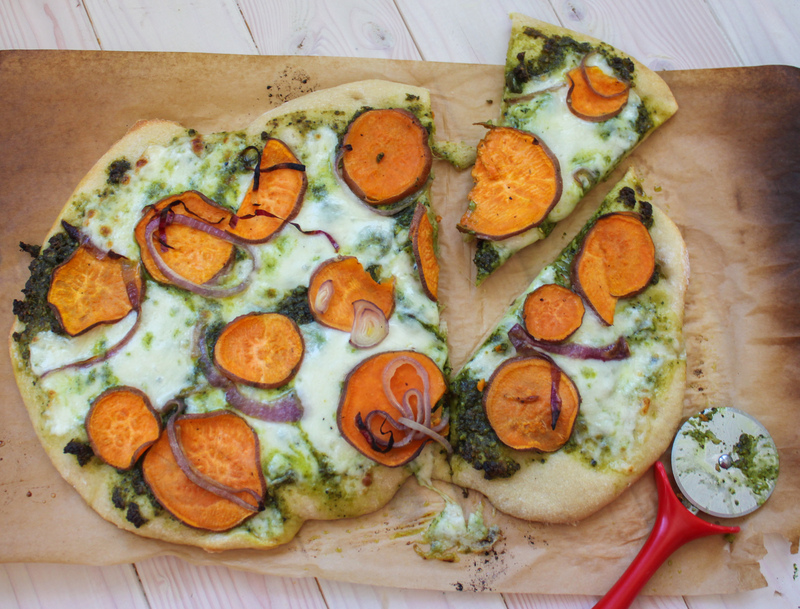 You might not believe some of the things I have thrown on a pizza: Indian food! 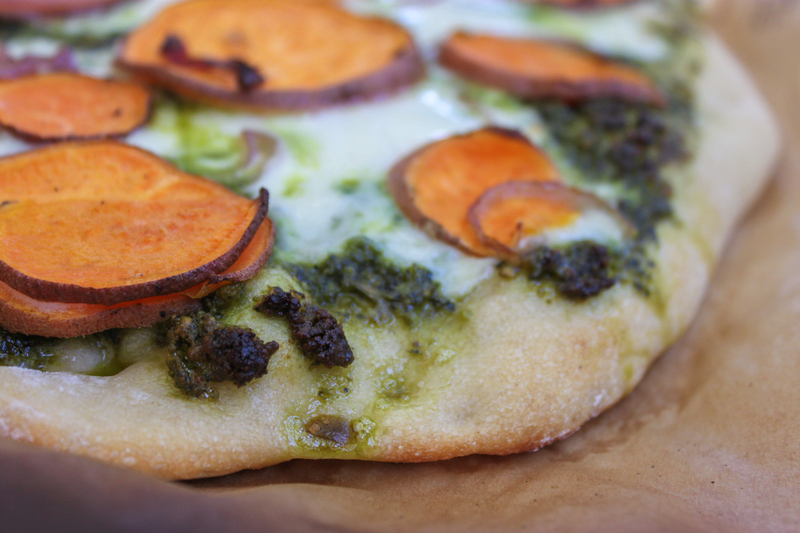 I must admit, I never really considered putting sweet potatoes on pizza. That is, until I had a bunch laying around (along with some homemade kale pesto). 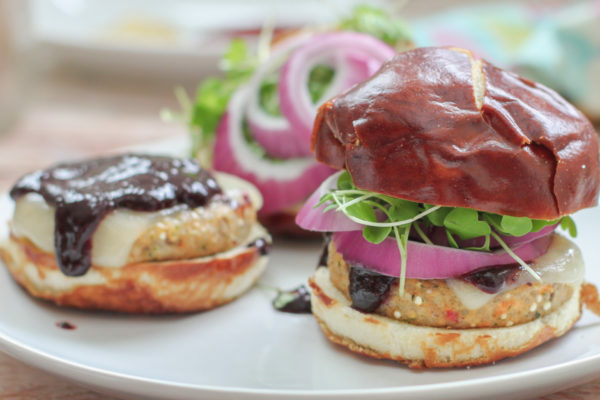 It’s earthy, hearty and kinda sweet. I think you are going to like it too. Wash 1 small sweet potato, removing any dark spots. 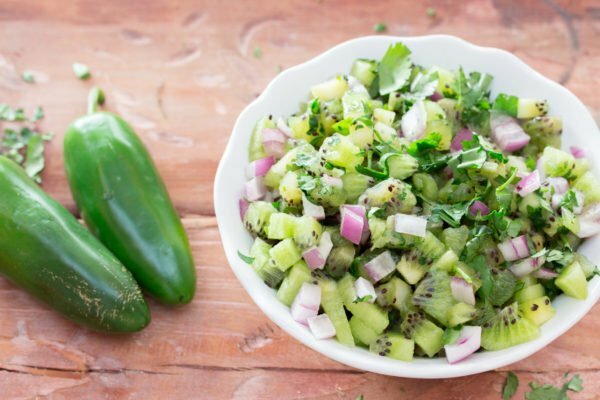 Then thinly slice it either using a food processor or a mandolin slicer. I guess a knife would also work. Peel and thinly slice 1/2 of a red onion. 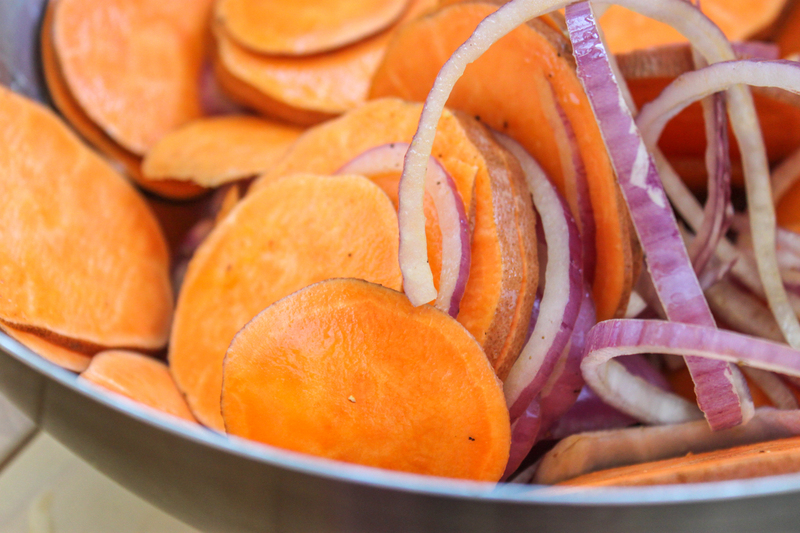 Place the sweet potato and red onion slices in a large mixing bowl and toss them with 1 tablespoon of olive oil and some salt and fresh pepper. 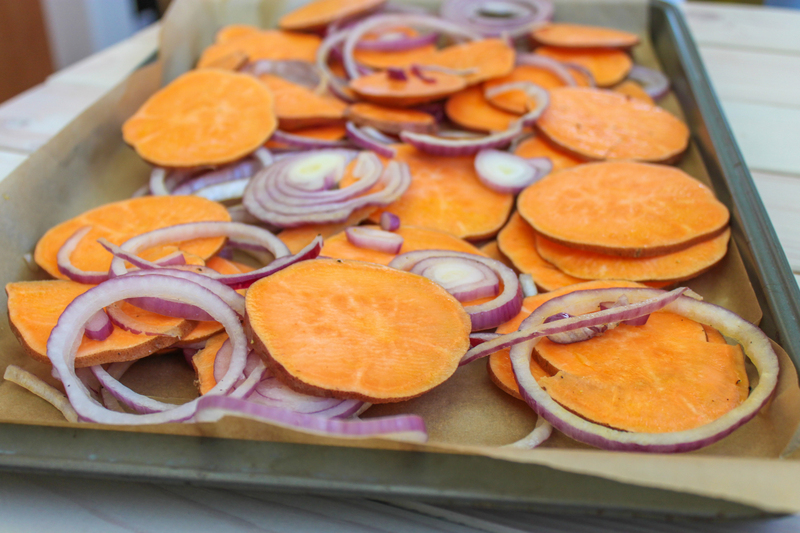 Line a baking sheet with parchment paper and lay out the sweet potatoes and onions. Place them in the over to roast for about 20 minutes, tossing them at least once. After the potatoes and onions have been removed, bring the oven to 500 degrees F or the oven's maximum temperature. 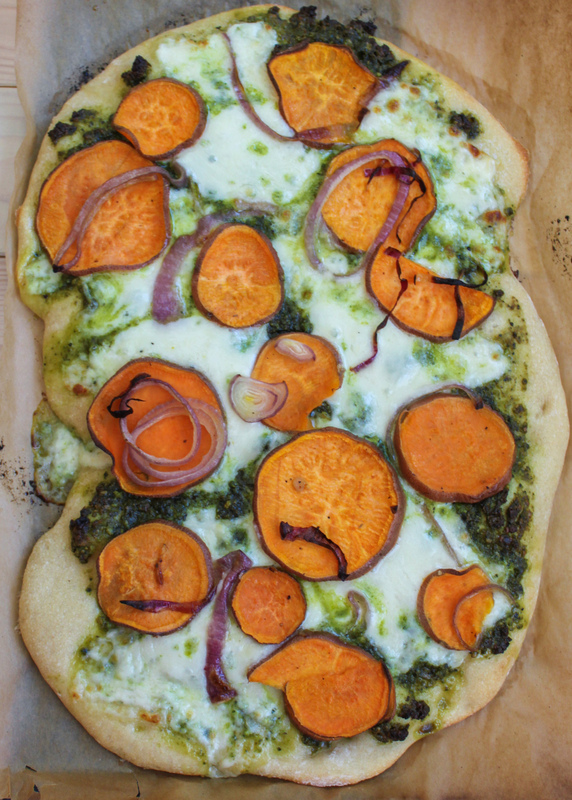 Place pizza dough on a large piece of parchment paper and roll it out to your desired thickness. I am geometrically challenged and cannot seem to make circles. Pentagons, hexagons and any other shape that is non-circular is fine. But no circles. 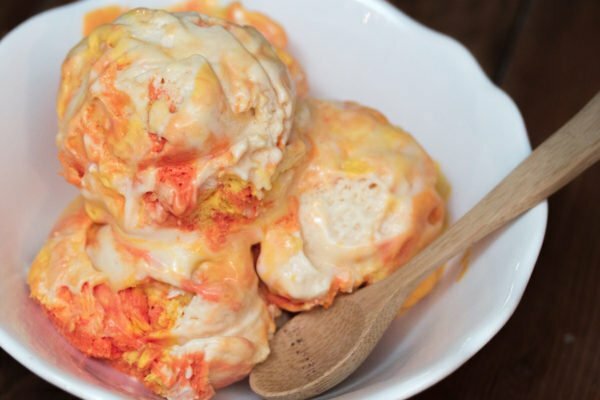 Lightly brush the dough with the 1 remaining tablespoon of olive oil. 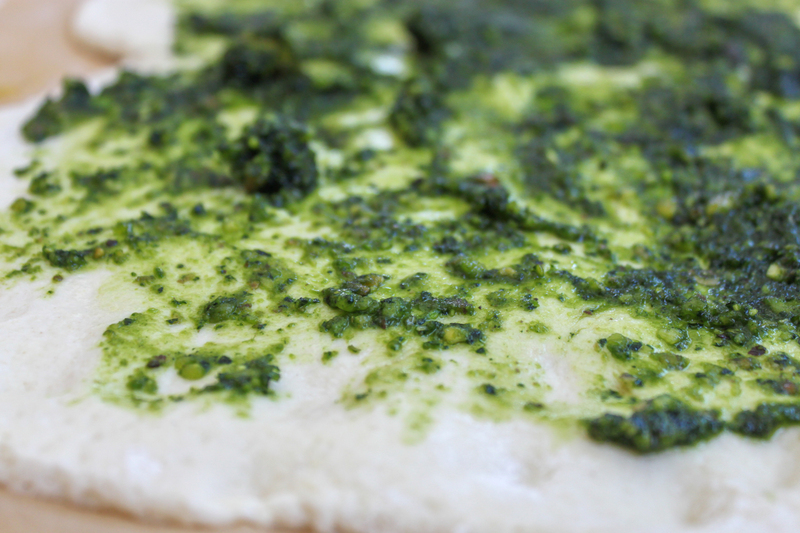 Now spoon 1/3 cup of raw pistachio and kale pesto onto the dough. 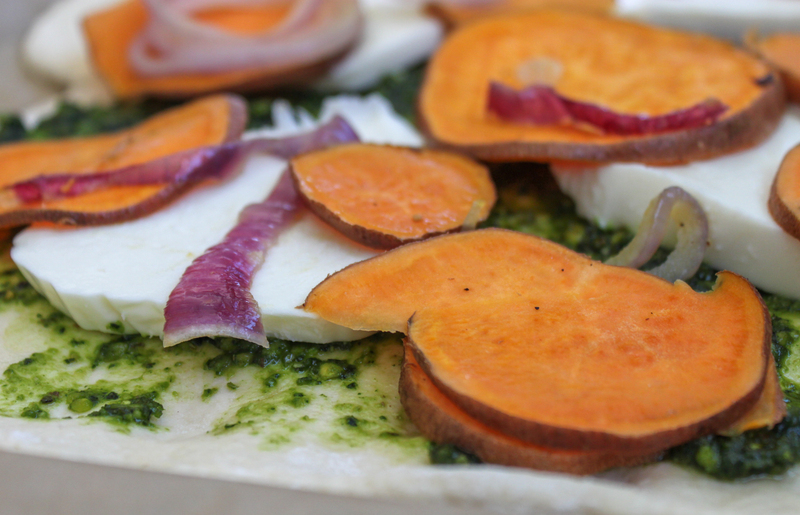 Add 1 cup of mozzarella cheese and then top the pizza with the roasted sweet potatoes and onions. Place in the oven and bake for about 10 minutes or so, until the crust is golden and the cheese is melted. Remove and let cool for a minute or so, then slice and serve! How gorgeous is this pizza?